Consider the image above as a guideline, because toe length is actually irrelevant. Metatarsal length is what counts. Those are the long bones in the foot that go from the instep to the base of the toes. To check whether you have Morton’s foot, curl your toes under and note the bumps where the long metatarsal bones end for the first two toes on each foot. If the big toe metatarsal is shorter than the second toe metatarsal, you have it. When a person with Morton’s foot walks, the foot overpronates when it rolls forward to push off. The first metatarsal becomes more mobile and elevates when rolling forward. The plantar ligament becomes lax. Over a few decades, this affects the body’s structure and can cause aches and pains further up the body, even in the jaw. I check the feet when someone comes to my massage practice for TMJ pain. When I first learned about this condition a couple of years ago, I googled and found a couple of websites with loads of resources. This one (http://www.footcare4u.com) has some great images, x-rays, videos, and information. You can order the book, Why You Really Hurt: It All Starts in the Foot. It does a good job of describing all the myofascial pain and strain that can be caused by Morton’s foot. It suggests that Morton’s foot may even be a cause of fibromyalgia. I’d be very interested to hear if anyone tries this for fibromyalgia and whether it helps. This website also shows you how to self-treat Morton’s foot by making and placing a pad under the ball of the big toe to elevate it. The other website has a self-evaluation method and sells ready-made insoles you can slip into your shoes. There are two types, one for sports shoes and one for dress shoes. They also sell stick-on pads that go under the ball of the big toe that are suitable for sandals. I’ve tried them. They help but tend to compress over time. 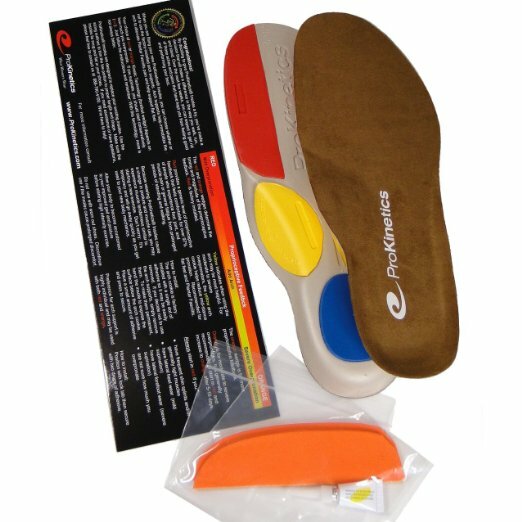 I bought the ones for sports shoes, the ProKinetics Replacement Insoles (available on Amazon.com). I took the insoles out of my Merrells and put the ProKinetics insoles in their place and stood up and walked around. Within a minute, I felt slight shifts in my structure that felt good. I especially felt a difference in my hips. It felt like my actual hip joints were bearing more weight, whereas before, my weight was more over the greater trochanters. What I notice after a week of wearing the new insoles is that not only does my pelvis feel more stable from wearing the SI belt, but my left leg in particular is changing its gait pattern. It feels a bit odd, but there’s no pain. My left SI joint was more injured in the car wreck than the right. I also noticed that the first metatarsal is shorter on my left foot than on my right, so the Morton’s foot is more pronounced on the left leg. I’m now experimenting with taking the SI belt off. Last night I slept without it. I experienced no pain in my SI joints or hips when I got up this morning. I take it off when I watch videos or am stationary using my computer. I make sure to wear it when I am doing massage, working out, walking, or standing for a while. Also, getting into and out of the car can be problematic, so I wear it when I go anywhere. I wear it either under my clothing or over it. The black waist slimmer SI belt blends with my black shorts so it isn’t noticeable if I wear a loose t-shirt. So I am now doing two things to improve my body’s structure, from the feet up and at the pelvis. Both the SI belt and the insoles are all about encouraging ligaments to tighten up so the bones are well-aligned. Both are intended to help me move better and feel more ease and comfort in my aging body. So far, so good. Also, if you feel encouraged to experiment with improving your alignment, you may notice new tightness in various parts of your body. Myofascial release would be an excellent bodywork therapy to relieve this and give you more ease. To find out how this process ended 18 months later, read SI joint healed! This entry was posted in body, healing and tagged alignment, Amazon, bodywork, elevated first metatarsal, fibromyalgia, gait pattern, Greek foot, ligaments, massage, Morton's foot, Morton's toe, myofascial pain, ProKinetics insoles, sacroiliac belt, sleep positioning, stability, structural alignment, TMJ pain by MaryAnn Reynolds. Bookmark the permalink.